Palmwood Gris Porcelain Pavers feature a subtle wood grain in a soft matte gray finish. 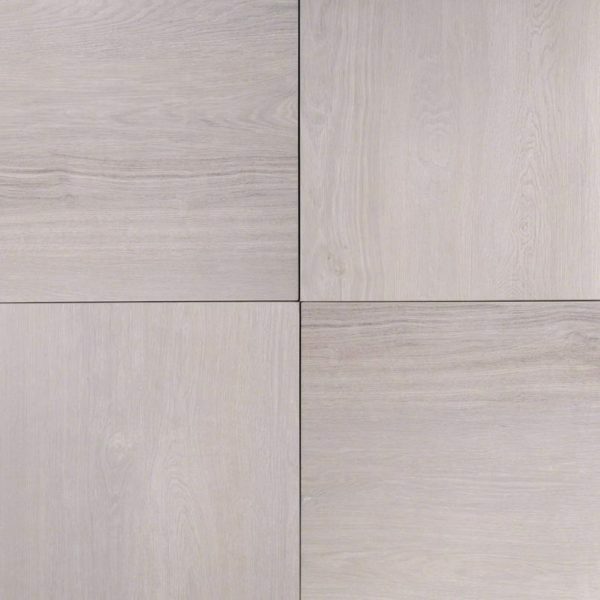 These large format tiles are perfect for adding visual texture to floors in busy kitchens, baths, entries, and other areas of residential and commercial properties where large format tiles are desired. Benefits of using large format pavers and tiles include fewer grout lines, which results in easier cleaning and lends the space a more roomy feel. Palmwood Gris Porcelain large format 24×24 matte finished pavers complement a variety of design styles, from traditional to contemporary, and are particularly suited for use in busy kitchens and baths.